We have more movement on the statewide domestic partnership bill, Families First! The Florida Senate Committee on Children, Families and Elder Affairs announced that they will hear the "Families First" bill by Senator Sobel on Feb. 19. 1/18/2013 -- Representative Pafford filed the "Families First Act" in the House (H.B. 259). 1/31/2013 -- Bill was referred to the Civil Justice Subcommittee; Health & Human Services Committee; Health Care Appropriations Subcommittee; and Judiciary Committee in the House. 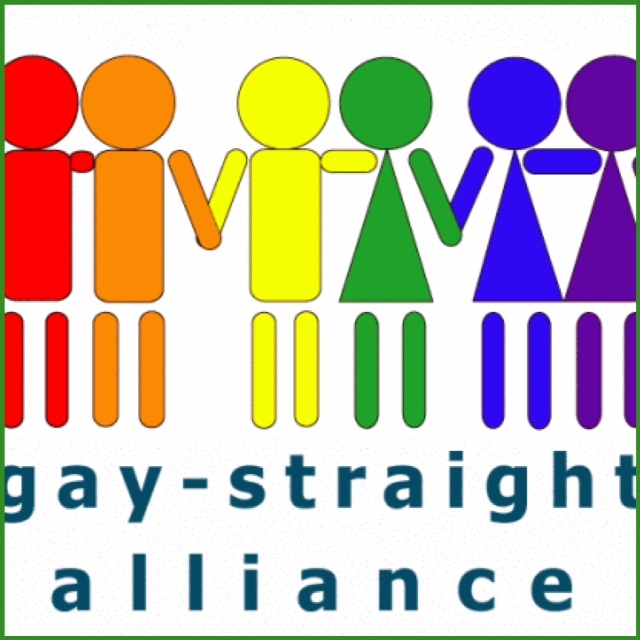 History Made In Florida Legislature: First Bi-Partisan LGBT Legislation Filed! The Florida Competitive Workforce Act (FCWA - SB 710, HB 653) aims at bringing jobs to Florida by improving our reputation as a great place to live, work and visit. It was filed by Representative Joe Saunders (D- HD 49) and Senator Joe Abruzzo (D- SD 25). Representative Holly Raschein (R- HD 120) signed on to be the primary co-sponsor in the House. For more information on the FCWA please see the NEWS RELEASE. 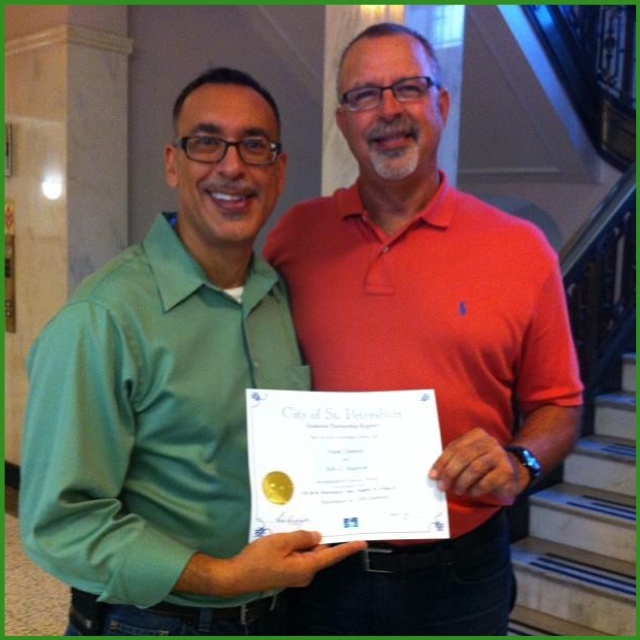 Second Win In 2013: Tavares City Council Passes Domestic Partner Registry! 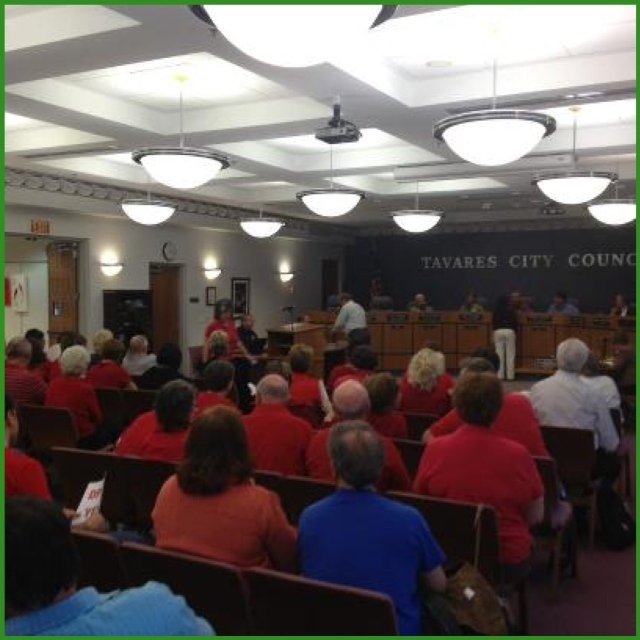 By a vote of 5-1, Tavares City Council passed a Domestic Partnership Registry. Tavares is in central Florida's Lake County. That county made news this week when the Lake County school board initiated plans to ban all non-curricular student clubs to prevent the formation of a GSA. Tavares joins a dozen Florida cities that have passed anti-discrimination and family recognition laws in the last year. The passage of the registry also contrasts sharply with the failure of Hillsborough County to pursue the same protections. Hillsborough has earned a national reputation for homophobia having repealed a gay inclusive anti-discrimination law in the 90s and more recently passed the country's only ban on gay pride. The adoption of Domestic Partnership Registries comes with strong broad based public support and at the urging of the business community leaders who see quality of life and fairness issues as crucial to recruiting and retaining top talent. St. Petersburg City Councilmember Steve Kornell encouraged businesses unhappy with Hillsborough's latest failure to move across the bridge. St. Petersburg and Pinellas County have both passed Domestic Partnership Registries in recent months. "[On February 12th] the Leon County Commission voted 7 to 0 to move their proposed Domestic Partner Registry to a final vote. Thanks to everyone who has helped get us to this point. We're almost there!" - Equality Florida Statewide Field Coordinator, Michael Farmer. The final vote will occur on Tuesday, March 12th. Earlier this week, Equality Florida was shocked and disappointed to hear that the Lake County School Board is considering completely eliminating extracurricular clubs in the district to avoid allowing lesbian, gay, bisexual and transgender (LGBT) students and their straight friends from forming support groups in Lake County schools. 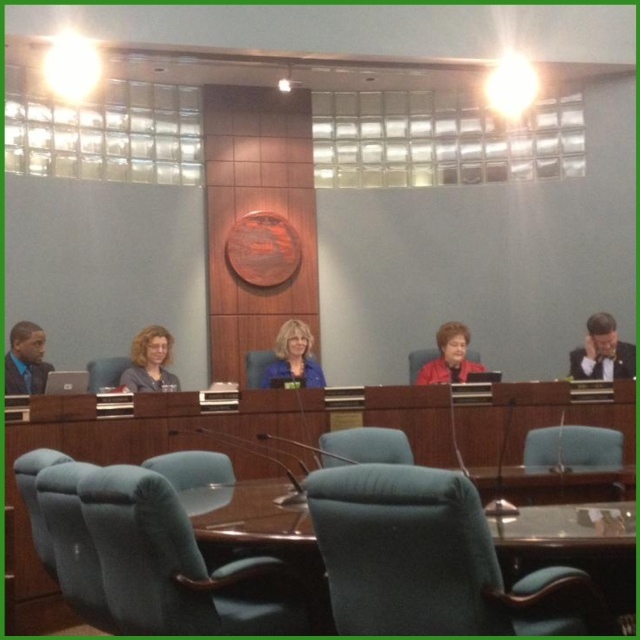 The Lake County School Board is continuing to follow a pattern of deliberately excluding LGBT students from vital protections and thereby denying LGBT students a safe and inclusive learning experience in their school district. For more information on this story, please see the NEWS RELEASE. 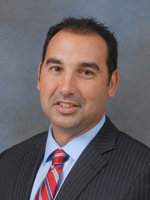 Representative Mike La Rosa is a first-term Republican representing District 42, who won an unlikely legislative race in 2012 when he replaced Representative Mike Horner on the ballot. A former real-estate agent, La Rosa is new to the political arena. His prior experience starting a real-estate company with his brother and maintaining it through economic crisis has made his focus on fostering small business and creating jobs. He builds his platform upon the belief that the government should not be too involved in the lives of people. La Rosa is interested in serving a voice for the average citizen and creating a strong, safe community for the families of the people he represents.